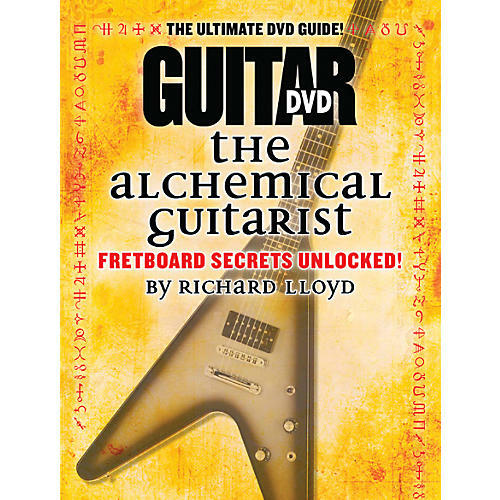 Guitar World: The Alchemical Guitarist, Volume 1 presents the 12 best videos and accompanying columns from Guitar World Magazine columnist Richard Lloyd. In this insightful instructional DVD, Lloyd gives viewers a new and comprehensive way to understand the fretboard---one that unlocks the mysteries that so often confuse and frustrate guitarists, whether they are beginning or advanced players. One of Guitar World's most popular instructors, Lloyd presents lessons on topics that include hexatonic blues scales, emphasizing minor thirds in pentatonic patterns, the cycle of fourths and fifths, and much more. Comes with more than two hours of lessons.